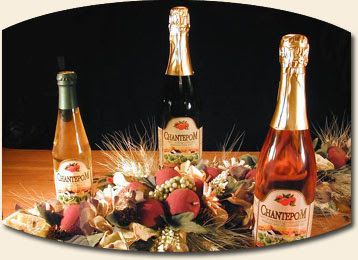 If you are in the mood for something light, sweet, pink and effervescent, you will enjoy what I have discovered today: Chantepom. This lovely non-alcoholic beverage is in fact a sparkling apple and cranberry must made from freshly picked apples on the Lamarche Orchard in St-Joseph-du-Lac, Québec. It's seriously delicious, festive and affordable ($5.99). At my next dinner party, I will definitively offer it to my friends who choose not to drink. 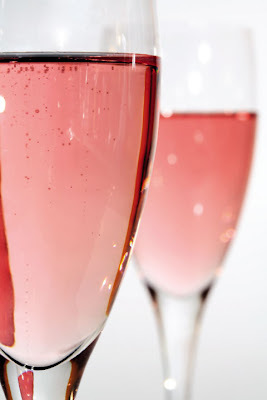 And I might also indulge in a nice glass of bubbly next time I take a long bubble bath. You could also add some sliced strawberries to make it even more sweet and pretty. Try it, you might like it too!